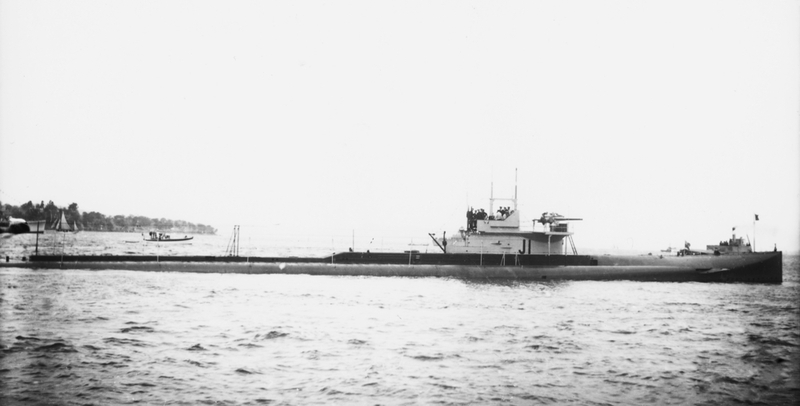 J1 as she appeared when in service in the Royal Navy. In this picture her original 3-inch gun is visible on the forward casing. It was later removed and replaced with a 4-inch gun mounted on the forward end of the conning tower. HMS J1 commissioned in the Royal Navy on 15 March 1916 under the command of Commander N.F. Laurence, DSO, RN and was allocated to the 11th Submarine Flotilla based at Blyth, Northumberland. On 15 July 1916 the Commander-in-Chief, Grand Fleet, was informed that the German High Seas Fleet would probably be sailing that night and would be passing in the vicinity of Horn Reefs. He immediately cancelled exercises designed to test lessons learned at the recent Battle of Jutland and took steps to bring the German Fleet to battle again. As part of these dispositions J1, in company with three G Class submarines, left Blyth to patrol off the Horn Reefs. The alarm subsided, the Grand Fleet returned to exercise, and the submarines reached their patrol areas where they remained for three days. They saw nothing but a few aircraft and two surfaced U-boats which they were unable to attack. 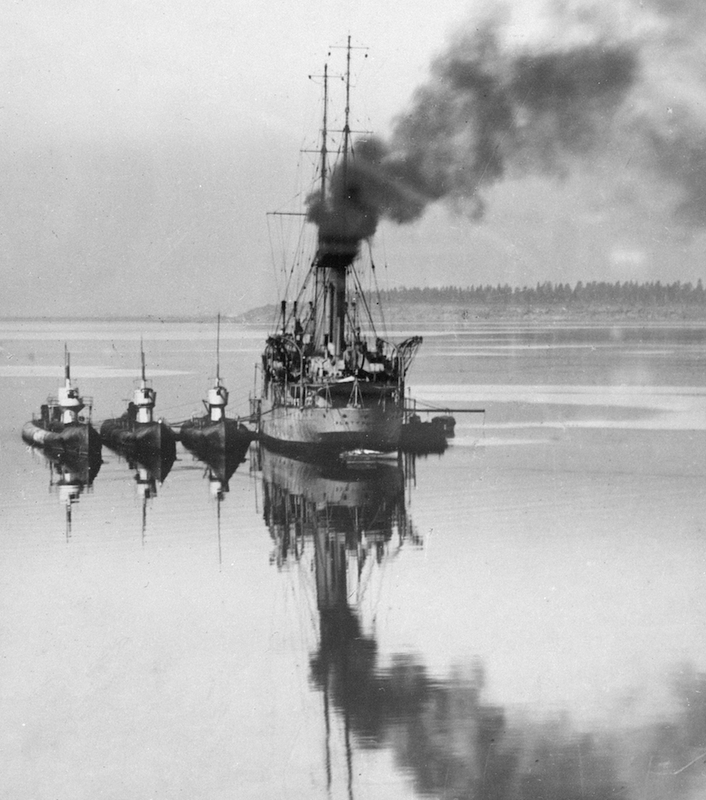 During the evening of 4 November two German submarines, U-20 and U-30, had grounded in thick fog off Bovbjerg Light on the west coast of Denmark and the 4th Destroyer Flotilla was ordered to proceed to render assistance. The battle cruisers Seydlitz and Moltke with additional destroyers were ordered to the area of the Horn Reefs in support and four battleships of the 3rd Battle Squadron (König, Grosser Kurfürst, Kronprinz and Markgraf) also put to sea. These events were unknown to Commander Laurence in J1 who had sailed from Blyth to patrol off the Horn Reefs. He had dived at dawn on 5 November and was patrolling submerged in a circle of 30 miles radius centred on position 55°56´N, 06°50´E. From the submarine point of view the weather was bad; visibility was only about two miles and a heavy swell made depth keeping at periscope depth difficult except by excessive use of speed. In this respect the J Class were difficult to control at periscope depth in any sea owing to the large expanse of flat upper deck. This was modified and improved later. 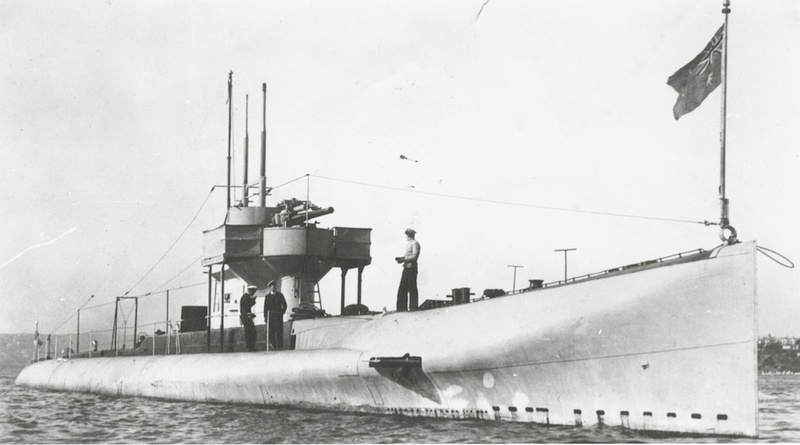 In order to economise in battery power and to avoid breaking surface constantly he was patrolling at a depth of 70 feet, rising occasionally to 25 feet to carry out a periscope search. At 11:50 he was about 30 miles south west of the Horn Reefs, and coming to periscope depth he sighted four enemy battleships astern, looming only about two miles away in the poor visibility. Going deep to avoid breaking surface he turned to get into an attacking position. Coming to periscope depth again he saw that the battleships were ahead and turning together to reverse course to the south. At this stage J1 broke surface and it was necessary to go full ahead to regain control, but she remained unseen. At 12:08 four Mk VII torpedoes were fired with a five degree spread at the third ship in the line, Laurence firing as J1 went deep still unable to keep depth in the heavy seas. Two explosions were heard. Surfacing at 14:30 there was nothing in sight and J1 returned to Blyth on 7 November. 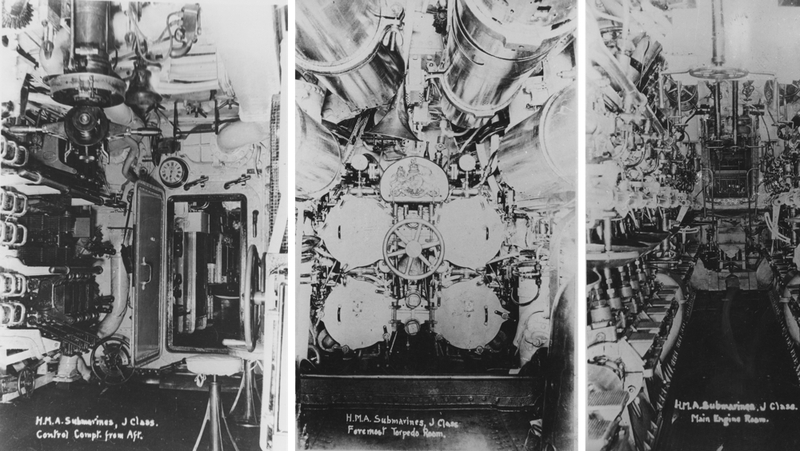 The first torpedo hit Grosser Kurfürst aft, damaging her rudders and causing her to take in some 300 tons of water. Kronprinz was hit on the port bow. Both ships reached harbour under their own steam, but required several months in dock. Commander Laurence was awarded a Bar to his DSO, the original award having been made for his exploit in torpedoing Moltke in the Baltic on 19 August 1915. At 13:30 on 19 March 1917, in position 56°N, 00°32´W, while en route to patrol off Utsire, J1 fired a torpedo at an enemy submarine and missed. An hour later she sighted some British minesweepers screened by the destroyers Rival and Orpheus, and reported the presence of the enemy submarine to Rival. The destroyers had been in sight for nearly an hour when Orpheus suddenly closed at high speed and fired four rounds at short range at J1, narrowly missing the bridge. It transpired that she had not seen the interchange of signals between Rival and J1, had not been aware of the presence of a friendly submarine, and approaching at high speed from leeward had not seen the White Ensign flown by J1. J1 made further unsuccessful attacks on enemy submarines on 8 and 9 May 1917. On 20 June at 14:45 in position 58°N, 01°36´E, J1 saw an enemy submarine come to the surface three miles away and fired one torpedo at 4,500 yards. Three more were fired but by then the range opened again to 5000 yards and all missed. J1 then surfaced and gave chase at full speed opening fire with her gun. She claimed two hits before the enemy was lost in poor visibility. On 28 July 1917, at 18:15 when on patrol off the Danish coast near the Lodbierg Light, J1 sighted a submarine and fired four torpedoes, all of which missed. The enemy was probably U-45. Between 1 December 1917 and 15 May 1918, J1 was based at Gibraltar and was at sea for 103 days out of 166, including 665 hours dived. On one occasion a three week patrol was carried out. Anti U-boat patrols were carried out near the shipping route along the Spanish coast or well out in the Atlantic towards the Canary Islands. HMS J1, circa 1917, while on service in the Mediterranean. While escorting a convoy near Gibraltar on 31 July 1918, HMS Kennett was ordered to proceed to the assistance of J1 which had broken down and was lying stopped. Kennett received this information from a seaplane, though it is not clear whether the seaplane landed to pass over the information or merely dropped a message nearby. Kennett was unable to assist and J1 had to be towed back to Gibraltar. 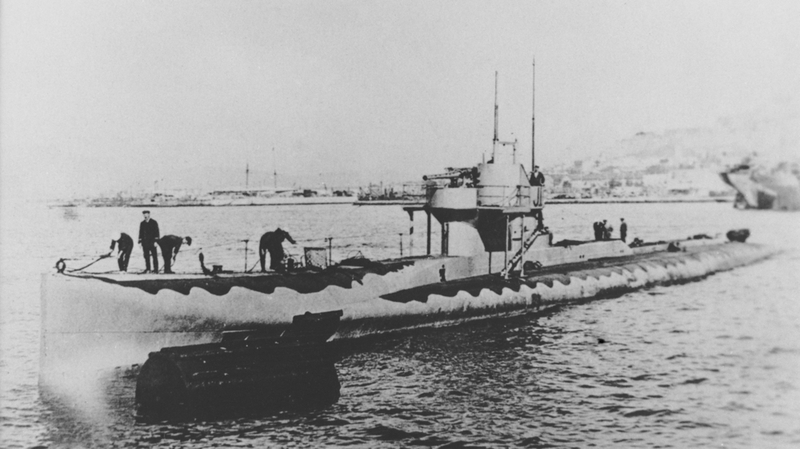 On 9 November 1918 while on patrol off Gibraltar, J1 attacked an enemy submarine. The target may have been UB-51. Having fired a salvo of torpedoes, and missed, J1 then surfaced and opened fire with her gun and the enemy boat dived. She then closed the spot and dropped depth charges on the estimated position of the enemy. Although unsuccessful the attack is of interest since it involved an unusual form of attack by one submarine on another. The depth charges were fitted as the result of an idea by J1's Commanding Officer, Lieutenant Commander RL Ramsay RN, who had envisaged four ‘200 lb naval bomb stick throwers' abaft the conning tower. In the event two chutes were fitted internally just forward of the steering gear. About twenty charges were carried. The equipment was manned by Stokers under the Chief Stoker, orders being passed from the bridge by means of a special telegraph. The charges were lowered on strops into the chutes, the lid was then clamped down and the firer stood by for orders. When ordered a lever was pulled and the charges dropped out. The boat had to be going at full speed at the time to avoid damage to herself. Following the conclusion of hostilities in World War I, the Admiralty in 1918 presented the six remaining boats of the J Class to the Australian Government - J6 had been sunk in error in 1918 by a British ship. All the submarines commissioned into the Royal Australian Navy at Portsmouth on 25 March 1919, as tenders to the submarine depot ship HMAS Platypus, J7 being the senior boat. The commanding officer of J1 was Lieutenant Ronald A Trevor RN. 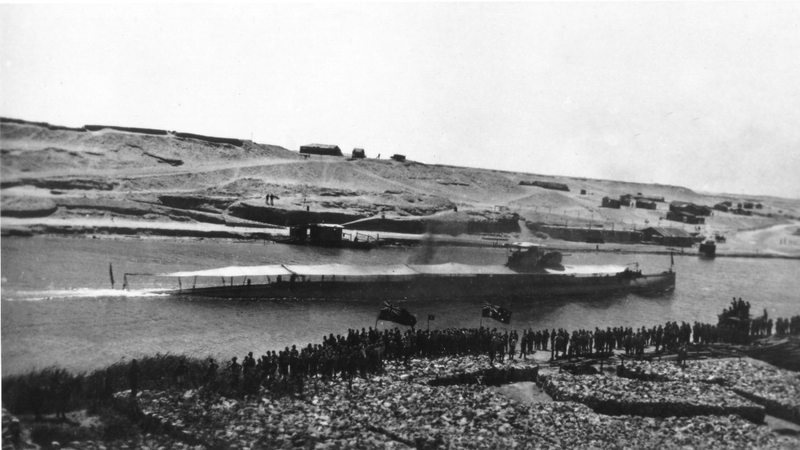 Australian troops cheer J1 through the Suez Canal, circa 1919. J1 in Sydney Harbour, circa 1920. J1, J4, J2 alongside HMAS Platypus, circa 1920. Having arrived in poor condition, the submarines were taken in hand at Garden Island Dockyard for refitting. 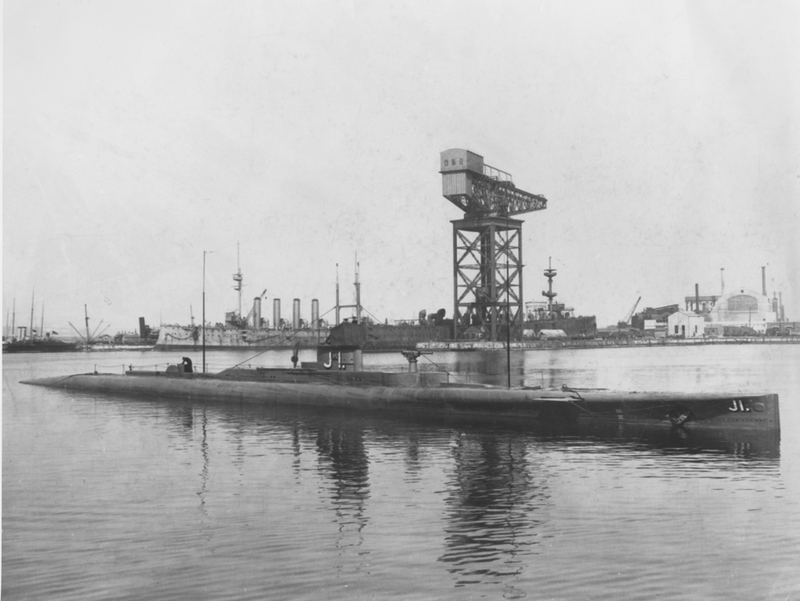 After her refit was completed J1, in company with J4 and Platypus, sailed on 16 February 1920 for the submarine base at Geelong, Victoria. 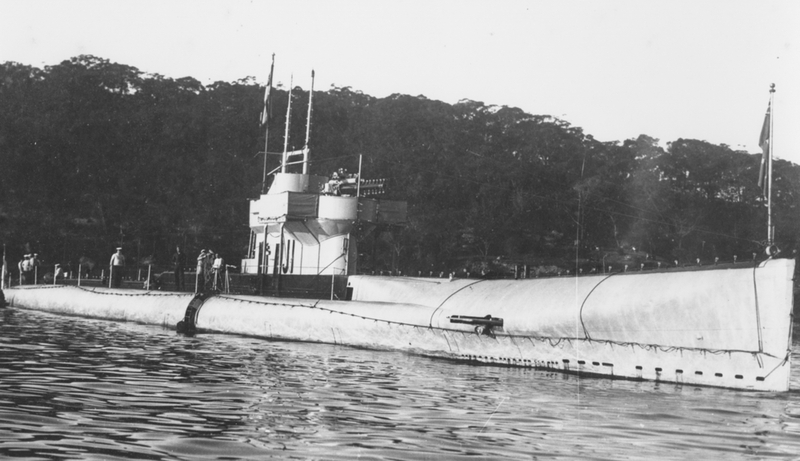 J1 in Australian waters, circa 1920. After uneventful service, little of which was spent at sea, J1 and her five sisters paid off into Reserve at Westernport on 12 July 1922. The boats had become victims of the worsening economic conditions of the time, coupled with their high cost of maintenance. 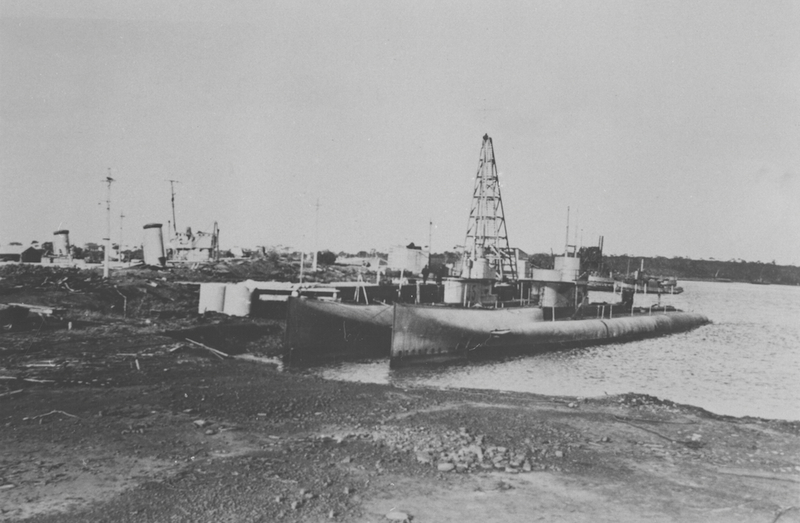 Two of the J Class submarines in Westernport, Victoria, circa 1922. On 26 February 1924 J1 was sold to the Melbourne Salvage Syndicate. The hull was sunk three miles off Barwon Heads on 26 May 1926. Ha! Ha! Ha!, He! He! He!, I can see you! But you can't see me! The bell, the fierce adventures through which it has passed, the courage, loyalty and devotion which it has witnessed and of which it is a symbol, may prove a continuing source of inspiration to the boys of the school.